I'll Be There is as simple as it is inspiring, and gentle with the feeling of deep, roiling waters of philosophy. Remarkable for a debut, Holly Goldberg Sloan weaves a tale of love and beauty while exploring the depths of the relationship of one human being to another. She starts the tale by introducing one of our main characters, Emily Bell. She's an average person, but that doesn't make her mold into the background-likewise, being average has made her a personality collector, a human being who loves the stories of others. When her father, a professional musician, offers her the chance to sing in the church choir, Emily reluctantly says yes. Everybody knows that she is the most horrible singer in the world, but her father won't pass up the chance to change Emily into a musical prodigy. When Sunday comes, and Emily is suddenly singing the lyrics to the Jackson Five's I'll Be There, a boy comes in and sits in the last row. As Emily feels more and more nauseous listening to herself sing, she decides she's going to sing this song to this boy, and she's going to sing her heart out and ignore everybody else, because that's the only thing that would allow her to survive for the rest of the song. And she does. But by the end, she's she sick and embarrassed that she goes outside to throw up; and there's the boy, holding her hair as her breakfast boils into a disgusting heap in the parking lot. But then he disappears, and nobody knows who he is. As Emily Bell, the personality collector who craves for the life story of this one boy who she has never known, and never met, lives entwine with her own to create a beautiful story that resonates with hope and endurance, that tells us all we ever need is love and trust to be anything we ever wanted. In this book, it is about two boys and a girl. The two boys are, Sam Border and his little brother named Riddle Border, and the girl is Emily Bell. Sam and Riddle’s father has been to jail and that Sam never went back to school after he was in the 2nd grade, because his father took him out. Sam is now 17 and his little brother has never gone to school. In his life. Their father’s name is Clarence Border. Clarence and both of the boys travel to many different places and never lets them go anywhere untill dark. But Sam loves music, and he plays the guitar. So he goes to this church, and when he does it changed his life, not only him but his brother too. Now Emily Bell, is also 17 and her dad has her sing. But the thing is that she can’t sing at all, and that she doesn’t want to but her dad insists that she should. When she has to sing I'll Be There in front of people in the church. She gets nervous and when she see Sam in the back row of the church she stares at him so she won’t get nervous. After she finished the song she runs out with Sam right behind her. Later on in the book her and Sam start to get closer and closer to each other. Sam’s dad finds something that Emily and given Sam then sam’s father takes him and Rildde somewhere else. It was a good love story - boy meets girl and girl meets boy. 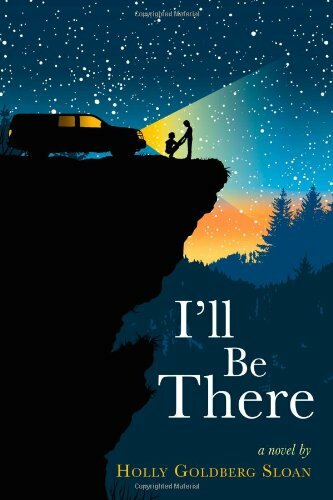 It was slow at some places and it went by fast in the others and I did not want to put the book down, it was a good read and it was a good book about trust, friendship, and a good love story.